Polarizing little green nuggets – Wait…are those…cookies?! Yeah, I know. This is exactly what you want to see on a Sunday afternoon. But too bad. I love them. Obviously. It’s my blog… why would I post about something I hated? Weird. Anyway.. I digress. 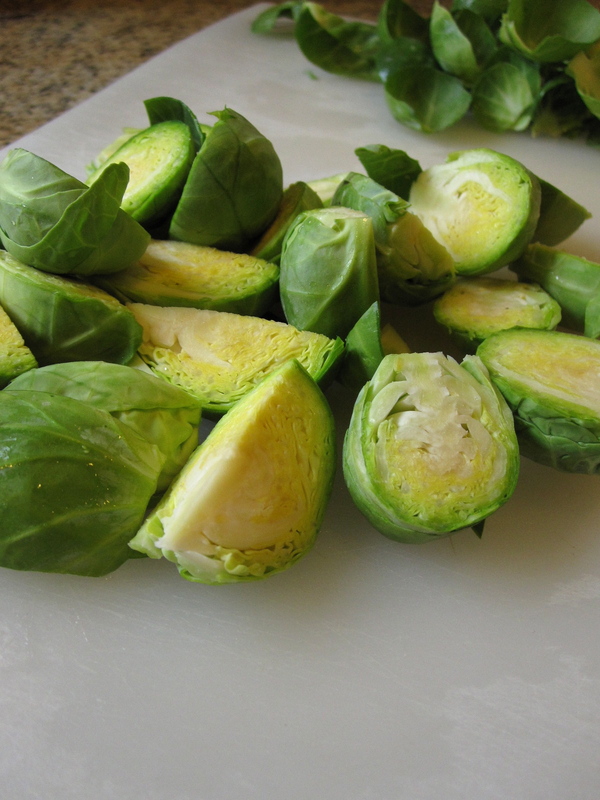 I *used* to hate brussel sprouts… probably because the first time I ate them I believe they were boiled, and I STILL think that’s a nasty way of preparing them. Ewww. Soggy brussels. Ain’t nobody go time for that. So I don’t do that. I roast them! And then toss them in things that make them even more delicious. I’m not really sure when I discovered I liked them though, which is odd. 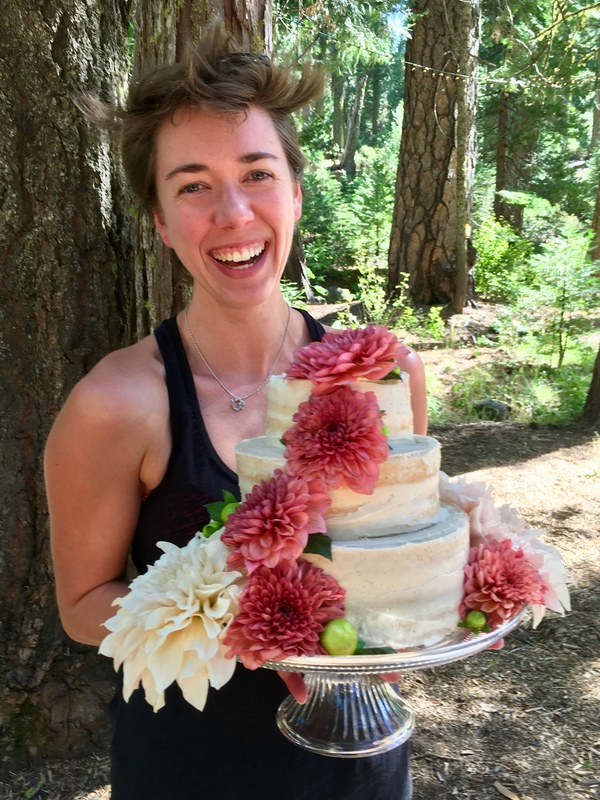 I have a wildly specific food memory (like, maybe too specific. Surely that brain space could be used for something slightly more productive than remembering exactly what I ate at any given time/place/vacation/noteworthy event?! Whatever. At least the grey matter is occupied and amusing itself, right?). So anyway. My Saturday morning was spent roasting brussels and doing yoga (what a shocking combination if you know me, NOT), and then this morning after doing (you’ll never guess) MORE YOGA (!!) I ate more of them. And it’s raining!! Win, win, win. Anyway. Happy Sunday! 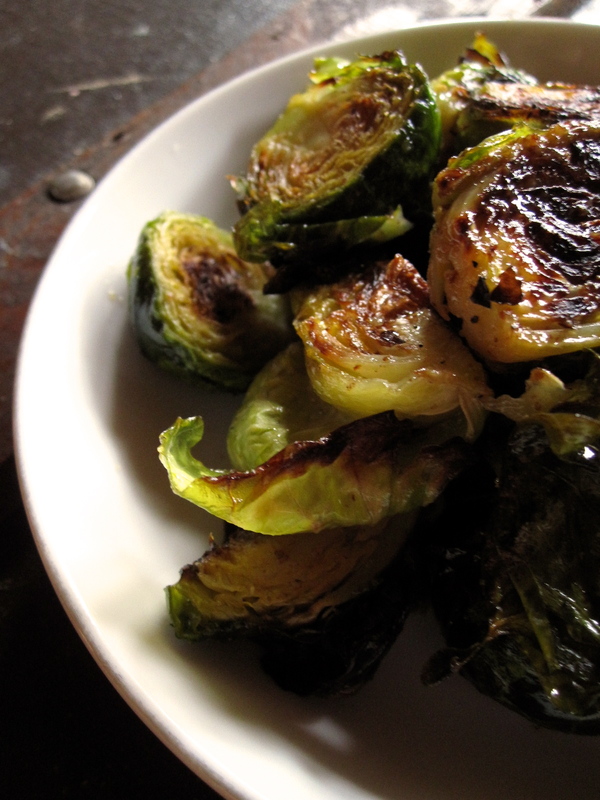 Here are some brussels to distract you from whatever you need to be distracted from. This might seem like kind of a weird combo to start off with, but stick with me, I promise they’re delicious. I used two bags of Trader Joe’s organic brussels, each about 14 oz I think. Recipe serves 3, with a bit left over. 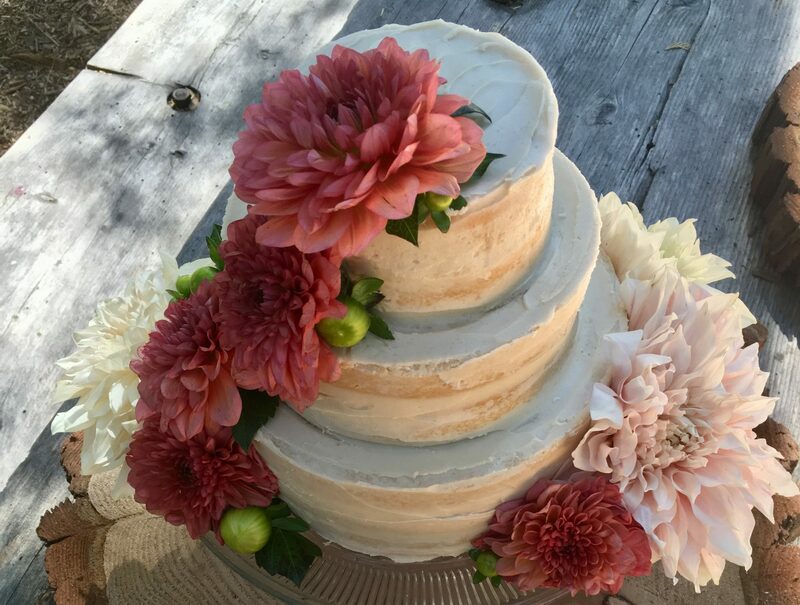 Gluten free, vegan. Prep brussel sprouts by trimming off the yuck end, and halving or quartering them depending on how big they are. Some of the outer leaves can be a little tough and usually come off as you trim them, which is fine. 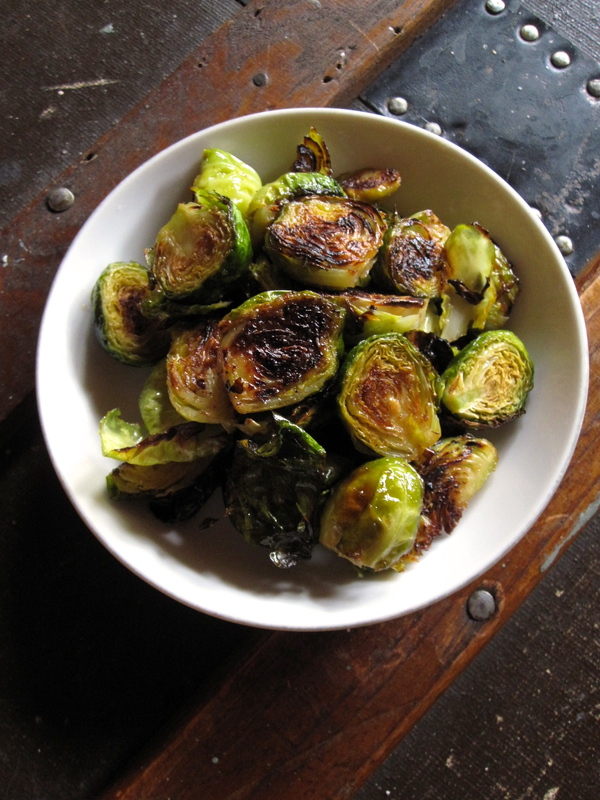 Toss sprouts with avocado oil, salt, and pepper in a bowl until all are evenly coated. 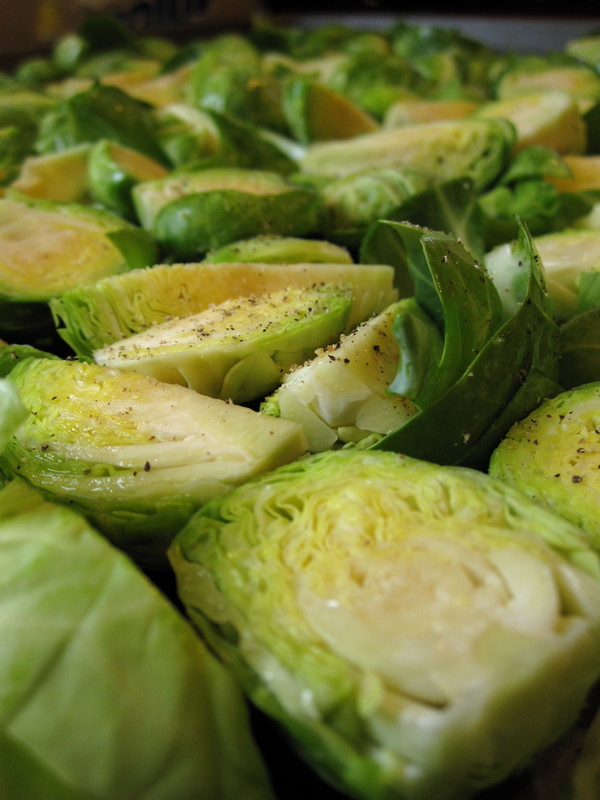 Distribute the sprouts onto a rimmed cookie sheet, flipping them so that they are cut-side down. Roast for 15 minutes, then take the tray out and flip them over to the other side. They should be nicely browned and starting to caramelize! Roast them for another 13-15 minutes, then take them out to cool slightly. 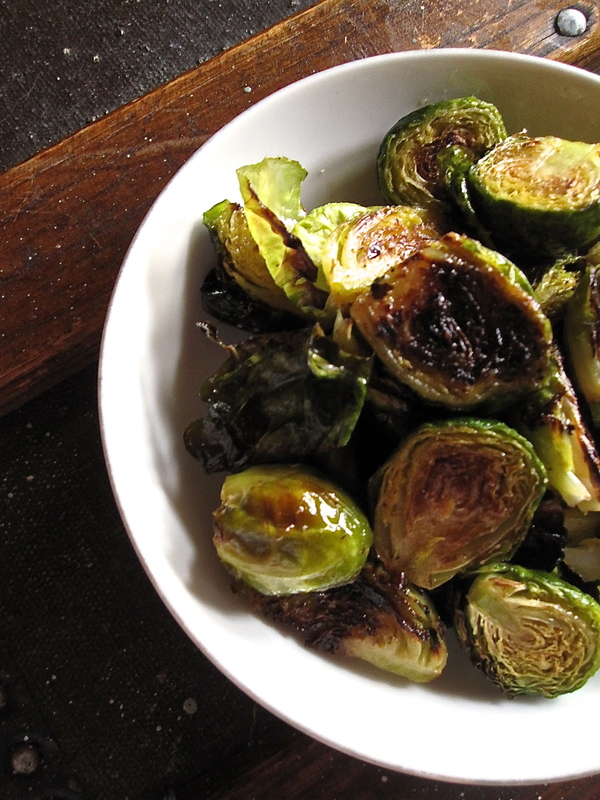 While the sprouts are roasting, whisk together olive oil, maple, and mustard in a smallish bowl. Transfer the sprouts to a larger bowl, and drizzle the dressing over all of them, tossing to combine and evenly coat them. Serve hot! Yum yum yum. I LOVE brussels sprouts! I firmly believe that people who don’t like them just haven’t had them prepared properly. Because when they’re cooked the right way – YUMMERS!! 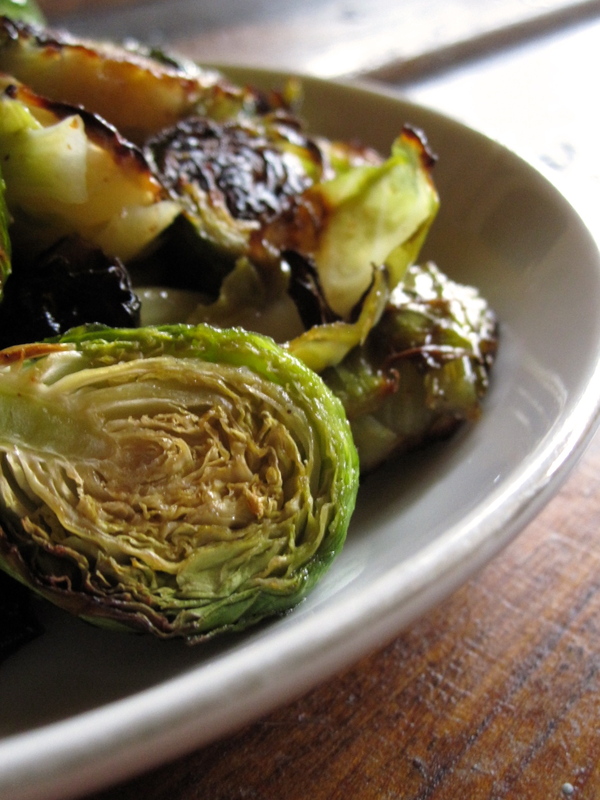 We just had brussel sprouts the other day…a little butter and parmesan cheese made them PERECT! !